Myrtle, a name which, with or without a prefix, is given to several widely different plants, but properly belonging to myrtus communis, an evergreen shrub of the Mediterranean region, which is the type of a very large and important order, the myrtacem. The myrtle family consists of trees or shrubs, with simple, entire, mostly aromatic leaves, which are marked by pellucid or resinous dots, and are without stipules; the flowers are perfect, the calyx tube adherent to the ovary, and the petals and numerous stamens borne upon the throat of the calyx tube or upon a disk which borders it; the fruit a berry or capsule; seeds without albumen. This family abounds in the tropics and the southern hemisphere; a few species belonging to the genera are found in southern Florida. Among the important plants and products of this family are the clove, allspice, guava, cajeput, rose apple, Brazil and Sapucaya nuts, and the gigantic and useful eucalyptus trees of Australia. The common myrtle is a shrub, which even in favorable situations does not exceed 20 ft. in height, with opposite shining leaves and axillary peduncles, each bearing a single white or rose-tinged flower, which is succeeded by a several-seeded berry. The plant, having been so long in cultivation, presents numerous varieties differing in the size and shape of their leaves and color of the fruit; the latter is naturally black, but there are white-berried varieties, as well as those with their leaves striped and spotted with white or yellow markings. In England the myrtle is barely hardy in the southern counties, and in our northern states it is only seen as a pot plant, or grown in tubs to decorate the grounds in summer, and removed to the cellar or a pit for the winter. In those southern localities where the camellia and Cape jasmine live without protection the myrtle is hardy. 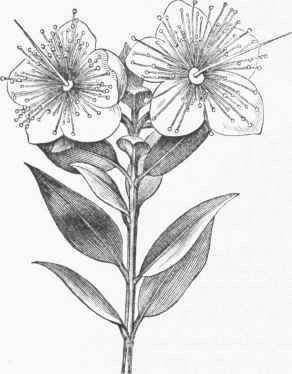 As with many other plants known to the ancients, there are numerous legends attaching to the myrtle; it was sacred to Venus, and the temples of that goddess were surrounded by groves of myrtle; wreaths of it were worn by the Athenian magistrates as symbols of authority, and the victors in the Olympic games were crowned with it. 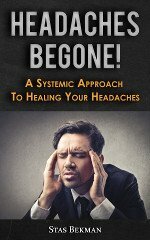 The buds and berries were formerly used to flavor many dishes, and they had a reputation for medicinal properties, the aromatic berries and other portions of the plant being tonic and stimulant. The Tuscans used the plant in the preparation of a wine called myrtirfanum. At present the chief use of the myrtle is in perfumery. Eau d'ange is a very fragrant astringent water, distilled from the flowers; the leaves mixed with other aromatics are used for sachet powders. The wood is hard and handsomely mottled, but its use is confined to small articles of turnery. Bay rum owes its peculiar fragrance to a volatile oil obtained from the leaves of myrcia acris, a West Indian plant of this family. The myrtle is readily propagated from cuttings of the just hardening young shoots. - The plant known in this country as myrtle or running myrtle belongs to a very different family. (See Periwinkle.) The candleberry or wax myrtle is myrica cerifcra. (See Baybeery.) Sand myrtle is leiophyllum buxifolium, a pretty low shrub of the heath family, found in the pine barrens of New Jersey and southward. - Crape myrtle is the common name for Lagerstrce?nia Indica, a shrub largely planted for ornament in Virginia and southward. It does not belong to the myrtles proper, but to the loosestrife family (lythraceoe). 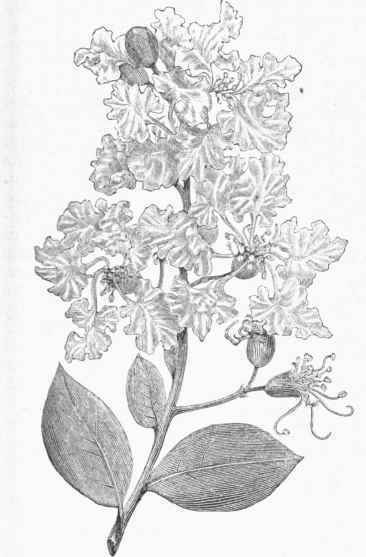 It is a much-branched shrub, 6 to 10 ft. or more high, with smooth, oval, opposite leaves, and large panicles of showy flowers; the petals are upon slender claws, and are waved and crimped in such a manner as to give them an exceedingly beautiful appearance, and to suggest the fabric known as crape; the stamens, which are in long silky tufts, add to the beauty of the flowers. The usual color of the flowers is a pale rose, but recently a white and several very dark-colored varieties have been introduced. The plant is a native of the East Indies, and the genus was named in honor of Lagerstrom, a Swedish naturalist. In northern localities it may be grown as a tub plant with a treatment like that of the oleander.